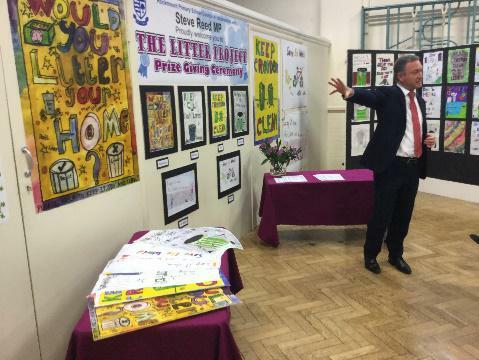 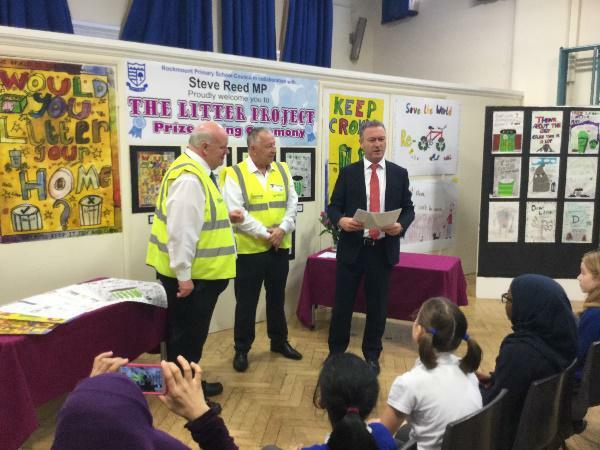 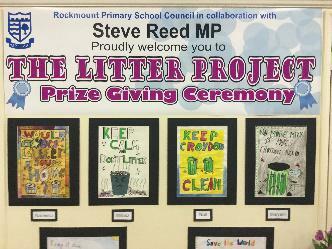 Rockmount’s School Council in collaboration with Steve Reed MP held its Litter Project Prize Giving Ceremony this morning. 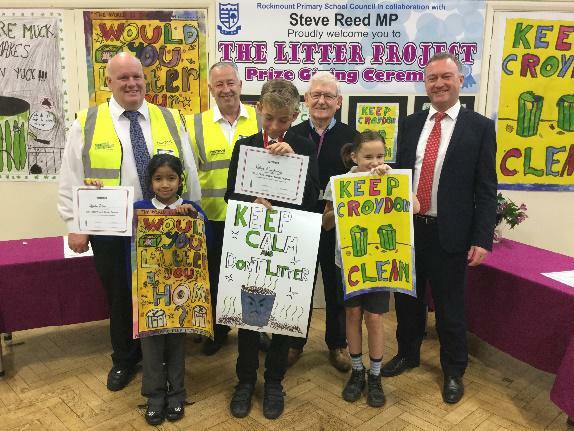 Steve Reed, Pat Ryan, our local Councillor and representatives from Veolia announced and presented certificates to the winners of the borough wide competition. 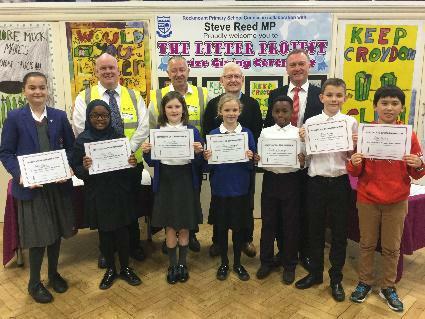 We would like to congratulate the following pupils who were awarded winner and commendation certificates.